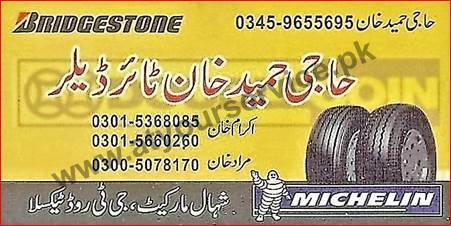 Haji Hameed Khan Tyre Dealer deals in all kind of rubber tyres. Haji Hameed Khan Tyre Dealer is located in Shahal Market, GT Road, Taxila. It deals in all kind of rubber tyres.